The Honolulu Grub Club site a place for food, friends and fun! 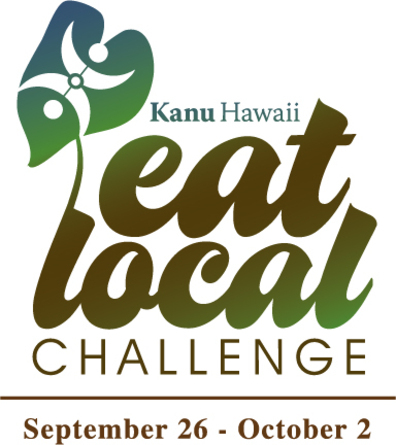 Remember this week is Kanu Hawaii's Eat Local Challenge. Can you eat just local for a week? Naked Cow Dairy: a discount on their dairy products to Kanu members. Finally, over at Civil Beat, Honolulu’s awesome online newspaper, reporter Michael Levine is trying to live up to the challenge by only eating locallly grown. Speaking of grown, every winemaker knows that making great wine starts with the grapes in the vineyard. If you want to know more check out Midweek’s write-up here. Over at The Maui News, Dining Editor, Carla Tracy, talks about the A+ meals being served up at Maui Culinary Academy’s Class Act Restaurant. Class Act is being headed up by new instructor Chef Kyle Kawakami. Moreover, The Maui News reports that Chefs Michael and Dana Pastula, Maui’s famous restaurant couple have opened their fifth Cafe O’Lei restaurant over at former Maui Grill at Napili Shores Resort.